Within this lesson we want to look at God, His character, role and our response as worship. 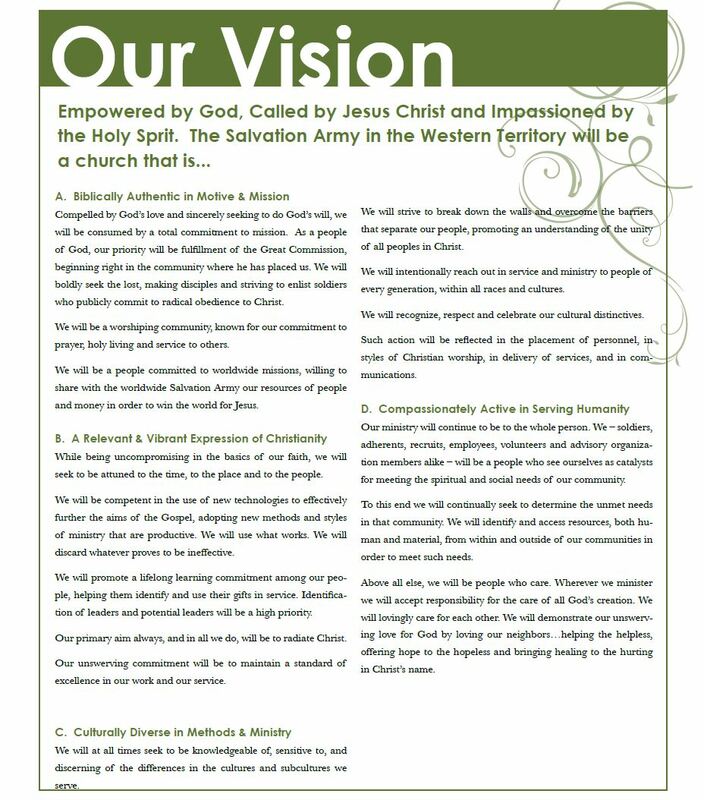 1) After prayer and a welcome, gather to creatively brainstorm attributes of God. Write them out-Visually displaying His names and characteristics. In this lesson we are learning about a doctrine of faith which is so vast…it causes us to ask ourselves the question, “How can we even know such a God?” For the skeptic seeking scientific proof there might need to be an adjustment of how they perceive or measure to make a decision of this size- “beyond reasonable doubt”. At the most basic level God’s existence cannot be proved or disproved. Hebrews 11:16 tells us that “…without faith it is impossible to please God, because anyone who comes to Him must believe that He exists and that He rewards those who seek Him.” In his last days of ministry on Earth, Jesus told those who followed Him that “Because you have seen me, you have believed; but blessed are those who have not seen and believed (John 20:29). Faith is the “stuff” of miracles! Still, we are not without proofs- they are all around us. We see Him in creation (“The heaven’s declare the glory of God; and the skies proclaim the work of His hands” Psalm 19:1), and our own hearts have confirmed His presence. I love Ecclesiastes 3:11 which tells us that “He (God) has set eternity in the hearts of mankind.” There is a profound sense that there is more than what we can see, taste, feel or comprehend in this universe. In every culture throughout time there has always been a longing for God which has expressed itself in art, psychology, science, theology, literature, architecture…and this inner calling to mankind is ongoing and passionate. The response to God however is individual. We each decide, don’t we? Once a person acknowledges God in our world they must also realize that they are in need of forgiveness (Romans 3:23), 6:23). It is in this most holy place that our lives are transformed as we reach out in acceptance and respond back to our Savior in worship. This was at the heart of William Booth’s vision- to step into the lives of the poorest and most forgotten of society with the truth of God’s presence and saving power combined with the meeting of basic needs, skills and a plan for “their way out”. True mission begins with the One, true God- who is infinitely perfect, the Creator, Preserver, and Governor of all things, and who is the only proper object of religious worship. Click on each to see them full size. 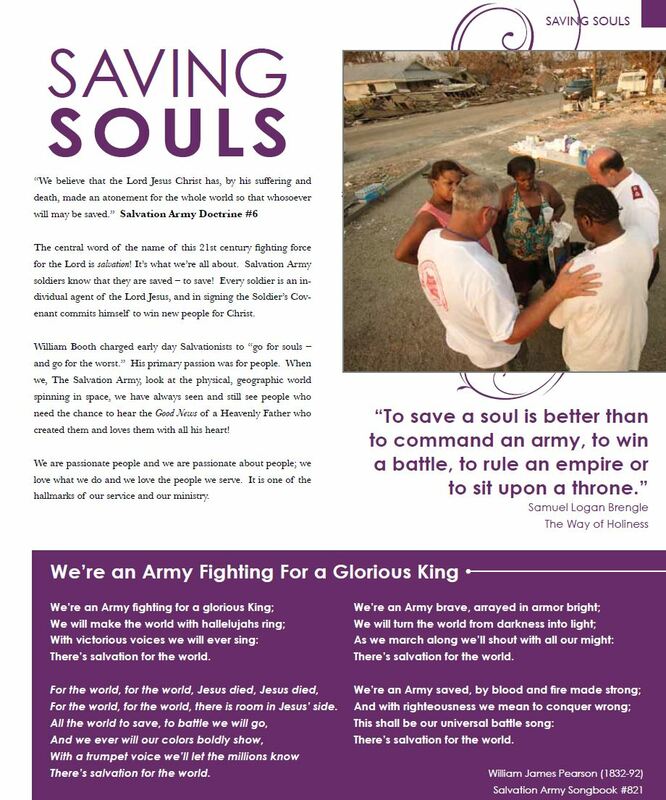 Discuss how The Salvation Army’s Vision today captures the essence of God’s Mission in Rescuing Mankind. 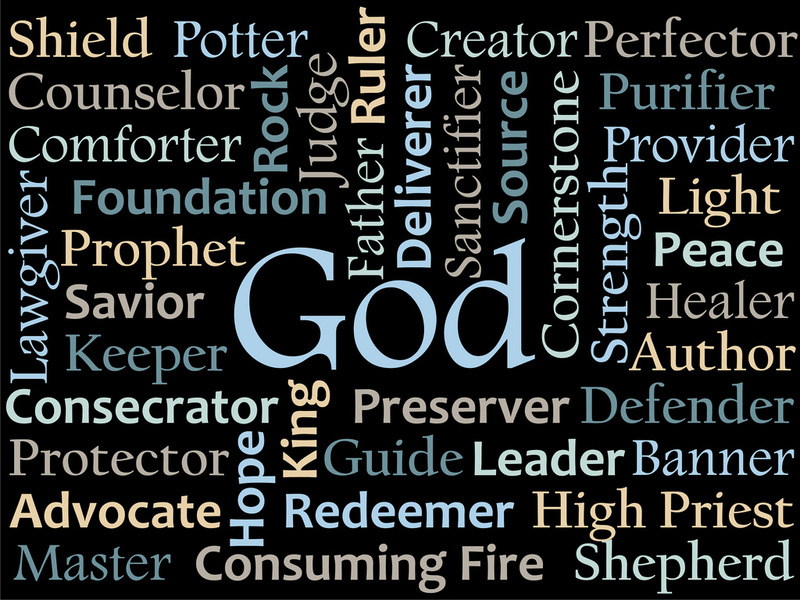 From the following scriptures, what characteristics of God do you see? QUESTION: How do we respond in light of the character and presence of God (Either personally, or as a community of faith: corps)? Pause: Pray for one another…Ponder His presence. As people go: Each person is challenged to place a part of their lives in God’s hands this week. What will you place in God’s hands this week? LESSON 9: FOREVER is a long, long time! LESSON 8: Holy, Holy HOLINESS? William, please let us know which scripture reference is wrong. We do want to make sure that all are correct. Thank you for your input. William – I found one reference Psalm 19:4 that should have been Psalm 19:1. Thank you for your insight.